Oceans! What a delightful gift of nature! Just imagine being around one- the sound of waves crashing, soft ocean breeze blowing away your woes. Now come back to reality- with the current state of our beaches, the only thing that flies around is garbage-plastic bottles and booze cans. Have you ever thought what it might be like to walk on, or glide over water? With SUP, you’d be standing on your board and cruising around like it’s nothing! 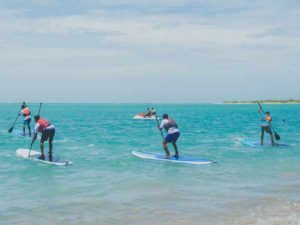 SUP now has become the easiest and most fun way to take on the waves. Whether you’re cruising along the shore or riding the waves in the ‘deep end’, you’ll have a blast bonding with the Ocean! 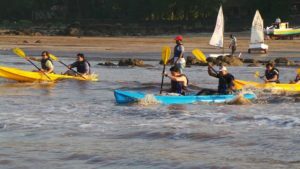 Or if you want to take a course and go pro, or join a bunch of friendly peeps who are these just out of love for the water, you can explore fun kayaking group events. PS- The Croc Challenge Kayaking lets you get up close and personal with crocos, Steve Irwin style! Ahh! How can we leave this out when we’re talking about ways to explore the ocean? You can now try diving just for fun in a number of places including Tarkarli in Maharashtra, known for its white sand beaches. By the way, even non-swimmers can take the elementary level. Or you could take up a formal course, and go to greater depths. 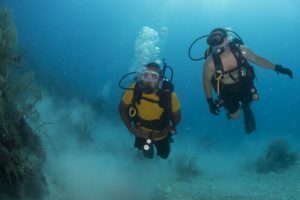 Either way, Scuba is a nice way to get in some alone time with the ocean and yourself. Kayaking not quite your thing? That’s no reason to watch from the sidelines. 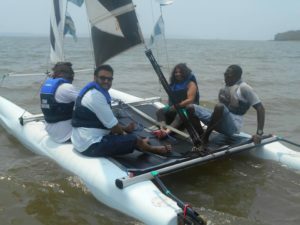 Try your hand at steering the wonderful 25-foot sports yacht, get a thrill sailing the boat under the guidance of qualified instructors, or simply sit back and relax. If you’ve got more time on your hands, we’ve even got full-blown sailing courses where you learn all the nuances of the sport- including rigging and unrigging, taking out the boat, basic manoeuvres, and taking it back to the storage area. It’s sometimes fun to observe the beauty that is the ocean, from afar. Take it all in as you pedal through the unspoilt riverine islands of Divar and Chorao with their traditional Goan houses. Have a proper Goan village breakfast and set off along the coastline. And don’t forget to generously slather yourself with sunscreen! 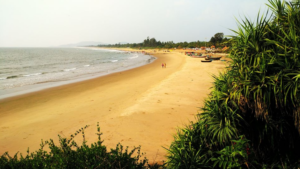 The Gokarna Beach Trek takes you several beaches, but they’re super clean, we swear. 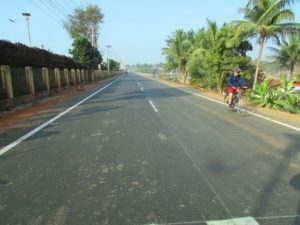 The Kumta to Gokarna trail connects more than 10 clean and beautiful beaches on the northern tip of Karnataka. Most are untouched by regular tourists and only shelter few shacks for beach lovers. If you want to do something different this time when you set out explore the ocean, this beach trek is for you! Also, did we mention there’s a ferry ride, camping on a beach and sleeping under the stars? You might even spot dolphins if you’re lucky! Oh, and we’d like to remind you that we’re still accepting guest posts. SO if you think the pen is mightier than the sword, or just prefer it for any other reason, WE ARE ACCEPTING GUEST POSTS- FOREVER!